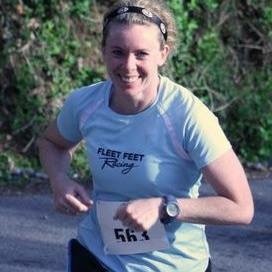 Originally from New York State, Lisa Rawlings has been running long distances for nearly 20 years. Completing a marathon in each of the 50 States is at the top of her bucket list. Her passion for encouraging others to meet their running goals has led her to coach all ages--from middle school track to grandparents training for their first marathons! Having previously worked at a Fleet Feet in the South for several years, Lisa is thrilled to join the Fleet Feet Scottsdale team. Witnessing new runners develop a love for running and living a healthy, active lifestyle is so inspiring! When not teaching, coaching, or running, Lisa enjoys cycling, hiking, snow skiing, and movies.